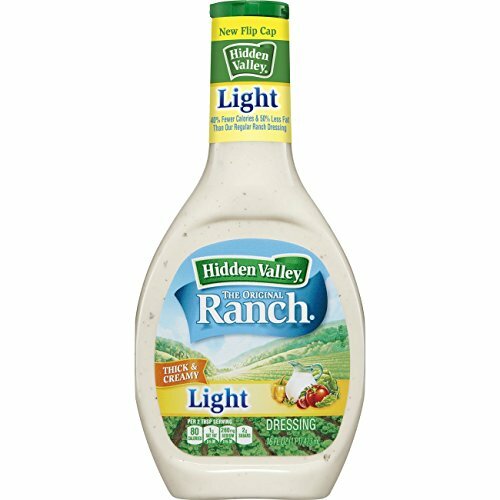 Light penne has the same color, taste, and texture as standard pasta, but 40 percent fewer calories, 18 gram fiber per serving 72 percent of the daily value. It nutrtition facts backed by actual laboratory analysis. 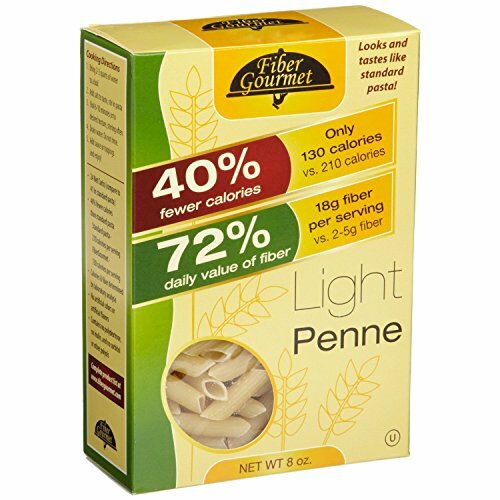 The best part is that fiber gourmet pastas' taste and texture is virtually indistinguishable from standard full calorie pasta. 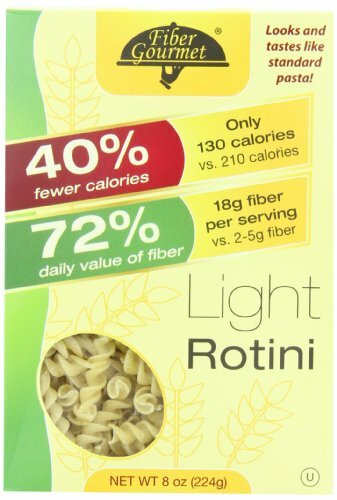 Light rotini have no artificial colors or flavors, no inulin, polydextrose, or other polyols and made in the USA from all us ingredients. It nutrtition facts backed by actual laboratory analysis. 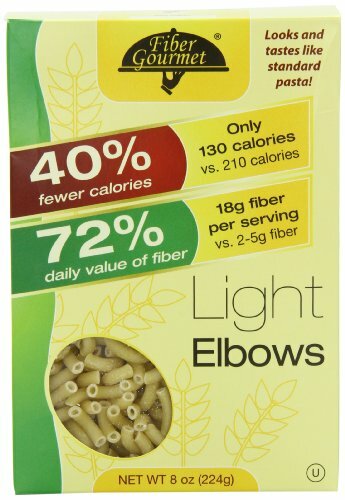 The best part is that Fibergourmet pastas' taste and texture is virtually indistinguishable from standard full calorie pasta. 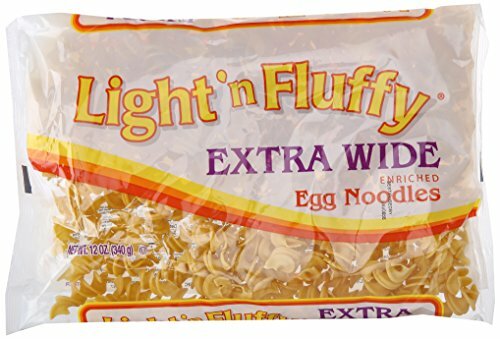 fibergourmet - Light Rotini Pasta - 8 oz. 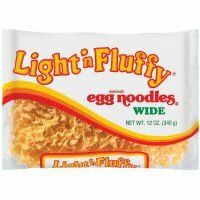 Fiber Gourmet Light Pasta has a firm, al-dente texture. Only 2 Weight Watchers Points. (Standard pasta is 4 points.) 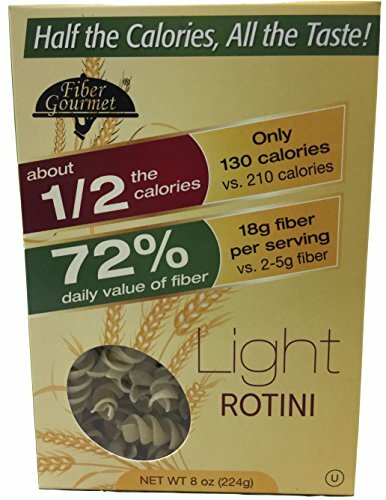 With 40% fewer calories than standard pasta, Fiber Gourmet's pasta taste and texture is virtually indistinguishable from standard full-calorie pasta. 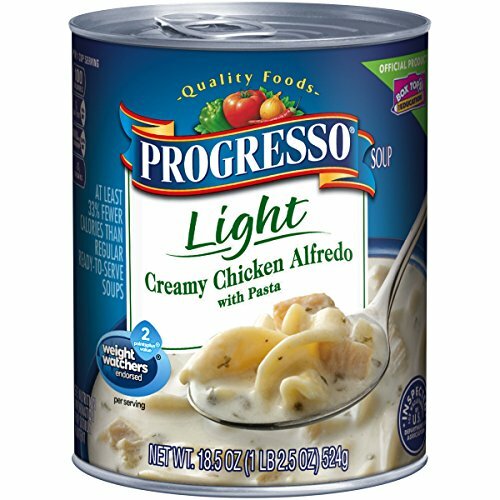 At Progresso we serve over twenty soups ready for guilt-free, 100 calories-or-less-per-serving consumption. When you can't make it yourself make it Progresso Soups. 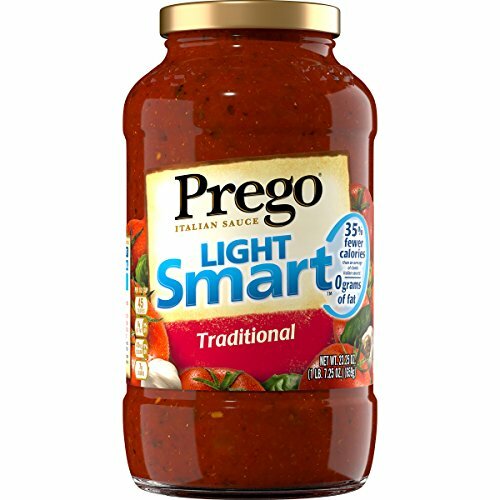 Prego Light Smart Traditional Italian Sauce allows you to enjoy the delicious tomato taste you'd expect from Prego tomato sauce. 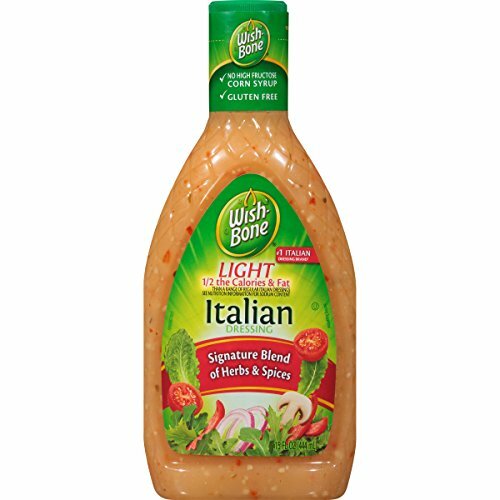 Perfect as is or use this sauce as a base for homemade recipes.